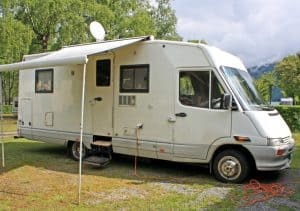 A question that comes up a lot for fifth wheel trailer or travel trailer owners is when they should replace their trailer tires? I’ve researched this topic in depth and have come across some guidelines that should help. 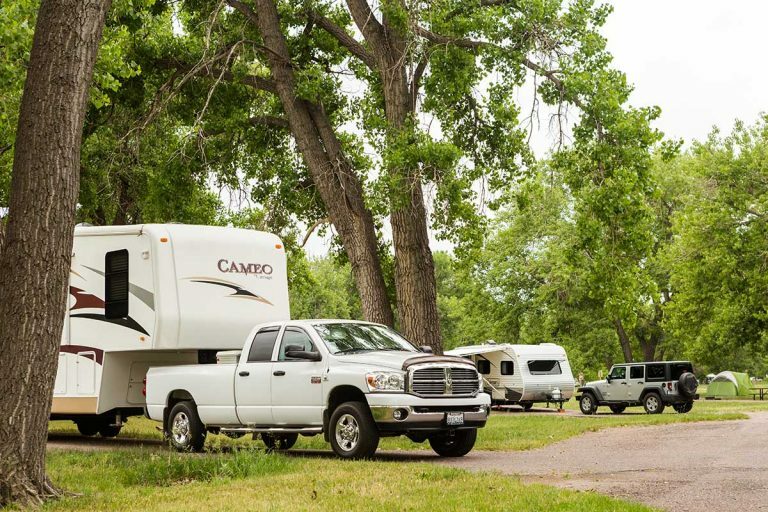 Experts agree that you should change your trailer tires every three to six years. Another way to tell your tire is due for a change is the mileage. 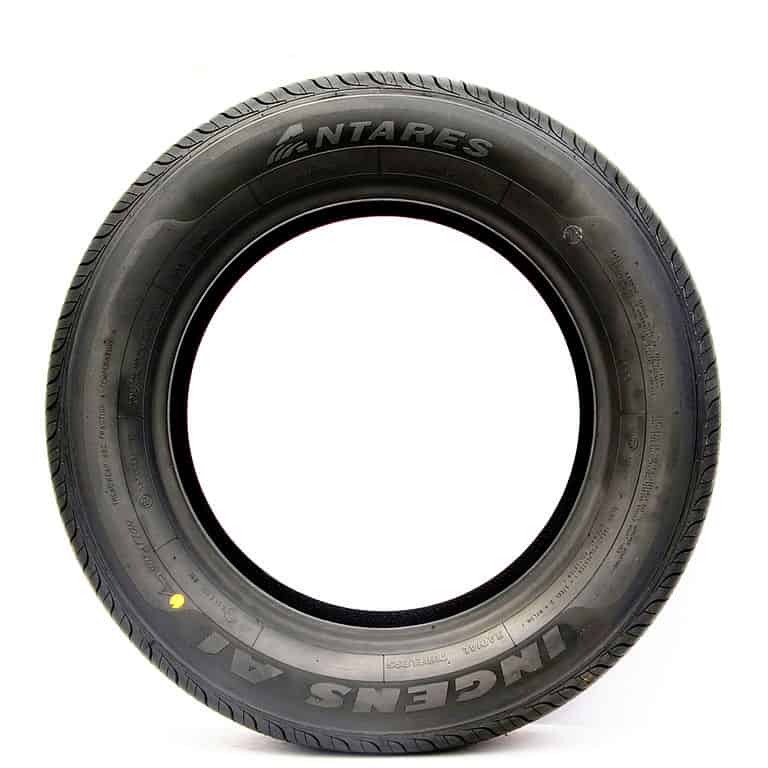 The mileage lifespan for a standard trailer tire is about 5,000 to 12,000 miles. This range can vary, but on average it’s a good starting guideline. These ranges are pretty vast, and they can change depending on many different factors: age of the tire, mileage covered, type of mileage, and type of tire. All of these factors are things I elaborate further on later in this post. Read on, as we’ll break these factors down to help make sure your tires are always ready for the next haul! You were probably hoping every trailer tire was the same and adhered to the same guidelines. I’m sorry to say this isn’t the case. It’s a little bit more complicated than merely following the ranges mentioned above. The following factors can vastly affect a trailer tire’s lifespan: the age of the tire, mileage covered, type of mileage, and type of tire. The general answer I gave for the question in the title was three to six years. It’s an average that indicates what time frame you should expect a trailer tire to last. But time is only a small component that can change drastically in conjunction with the other factors I go over later in the post. Although a trailer tire should be changed after six years regardless of any extenuating factors. Once your trailer tire hits the six-year mark, it becomes a blow out waiting to happen. When examining a tire’s lifespan, time isn’t the only vital factor. 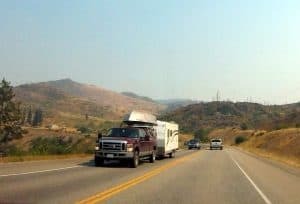 It’s also a question of how much mileage the tire itself has endured; a four-year-old trailer tire with 4,000 miles will probably need a replacement sooner than a three-year-old trailer tire with 8,000 miles. The lightly used four-year-old trailer tire has probably been sitting in someone’s driveway for an extended period. This time spent waiting for the next haul makes it more vulnerable to oxidation or other things such as UV rays that could cause deterioration. The three-year-old tire will probably be able to coast toward the 12,000-mile mark and be fine. The main issue with trailer tires breaking down isn’t really about usage; it’s the things they’re exposed in between hauls that caused them to break down. Overall, it’s all about how well cared for the tire is by the owner: the better care it receives, the better chance it has to reach that 12,000-mile mark or extend past it. 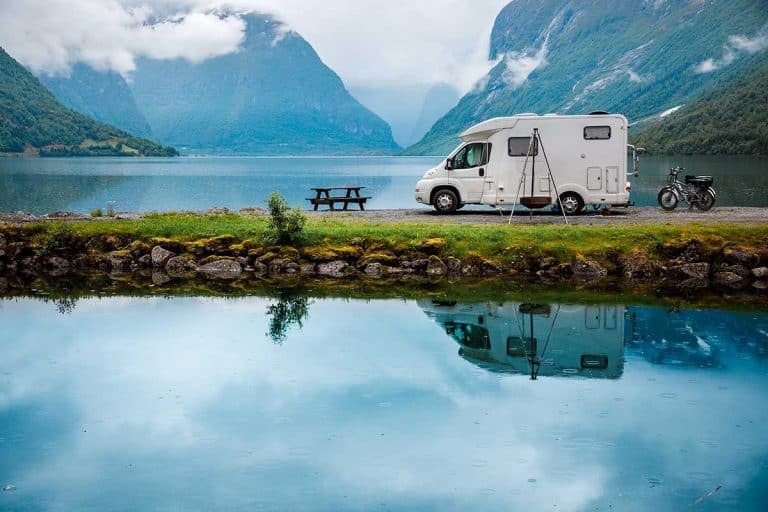 The type of mileage can be a significant factor in your trailer tire’s lifespan as well. It makes sense that driving over bumping, unpaved backroads will affect your tires more than well-paved highways. 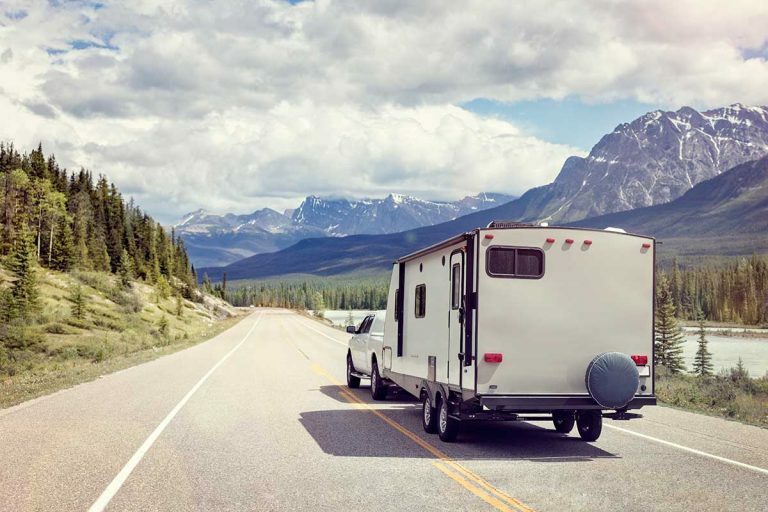 The backroads would put more pressure on your trailer tires, which will cause them to break down faster. As a result, you should replace a tire that’s well-traveled on backroads quicker than one used mostly on highways; closer to the 5,000 mark than 12,000 for sure. You shouldn’t be shocked to learn that what type of trailer tire you have can also affect its lifespan. The type of tires you’ll see on a fifth wheel trailer or travel trailer are classified in two different ways: special trailer tires (STs) or light truck tires (LTs), and bias or radial. 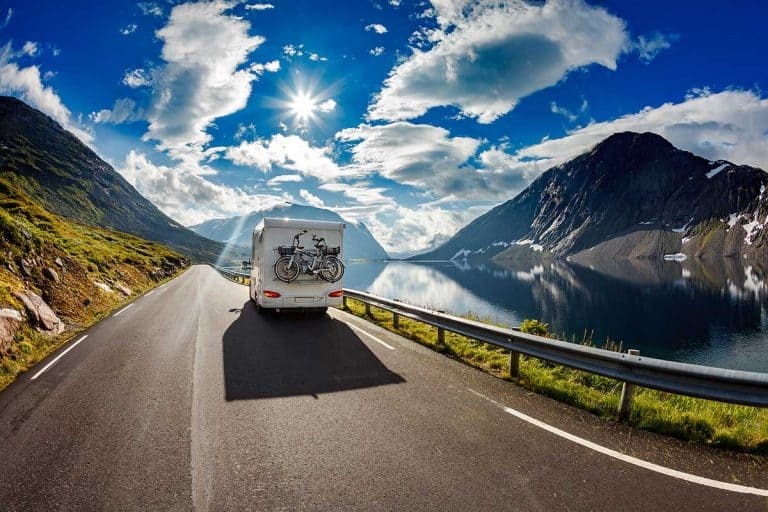 In most cases, fifth wheel trailers and travel trailers are going to have special trailer tires. These tires are specifically designed for these type of rigs as they have thicker sidewalls meant to handle a more significant load. If you have STs on your trailer, these typically don’t come with a mileage warranty like you’d see with other tires; the sidewall composition tends to deteriorate faster and wear out long before the mileage a usual tire warranty offers. But the experts agree you can count on STs last anywhere from 5,000 to 12,000 miles; with proper care, they can last past 12,000 miles as well. The side of the spectrum your tires end up is all about the other factors mentioned in this section: the age of the tire and type of mileage. 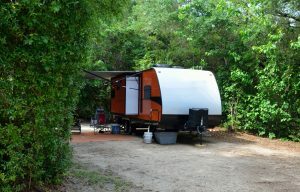 The experts also claim you shouldn’t use light truck tires (LTs) on fifth wheel trailers or travel trailers. These experts seem to believe the more massive tow load will cause the LT’s weaker sidewall to give into sway. 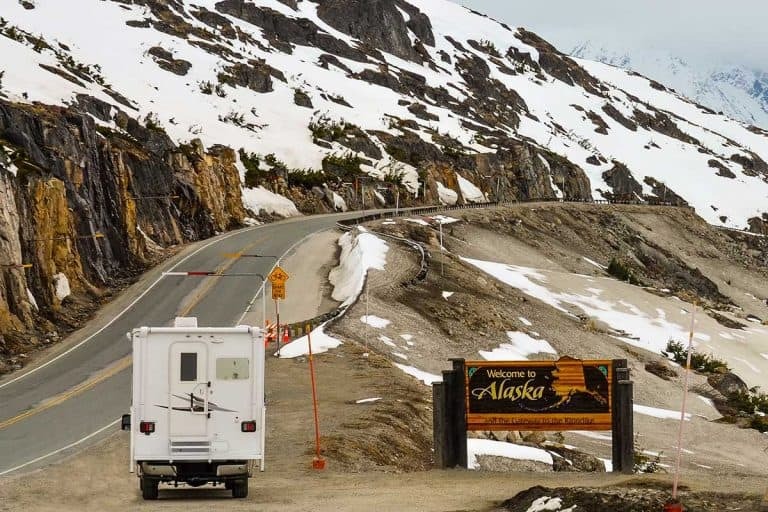 But several fifth wheel trailer and travel trailer owners would disagree with this claim. If you’re one of these owners, you should consult the tire’s mileage warranty. The figure will give you some idea of how long the manufacturer expects the tires to last. But the added pressure from the trailer will make these figures less reliable than usual. Whether it’s an LT or ST, one thing isn’t going to change; you’ll have to pick either a bias or radial tire. A radial tire will have a tougher overall construction, longer tread life, and a wider footprint. In some cases, an ST radial tire can even push all the way to 40,000 miles. But typically these tires are going to fall into the general range of 5,000 to 12,000 miles. Comparatively, a bias tire is going to have no chance of getting close to the 40,000-mile mark. See, bias tires are made more cheaply than radials. But they do have one advantage over radials, a tougher sidewall. The tougher sidewalls make bias tires a more effective option for driving on unpaved or back roads. With this in mind, bias tires should be replaced closer to the 5,000 mile side of things; radial tires give you more lead way and can last a little longer ending up toward the 12,000 mile side. Accounting for all the factors mentioned above is great, but your tires will start breaking down eventually. And you’ll need to know what this process looks like, so, you can identify when it’s time for a change. The first thing you’ll want to do is check your trailer tires visual. Look at the sidewall, and if you see any cracks or weathering, it’s likely time for a change. Another warning sign is any spidery lines along the sidewall; these likely indicate your tire’s weak enough to blow out. Other than the sidewall, you should check the tire’s tread as well. The tread should be thick enough to provide the necessary amount of traction. You can determine this by sticking a penny inside the tread; if you see the top of Lincoln’s head, it’s time for a new trailer tire. If your tires pass the visual inspection, some other signs can indicate a replacement is needed. These signs can be revealed by checking your trailer tire’s PSI levels. When checking the PSI, make sure your tires are filled to their recommended levels. If you notice they aren’t, you shouldn’t be concerned as occasional pressure loss is normal especially in colder climates. But if you start noticing a continuous loss of air pressure even with additional air, it’s a sign you need a replacement. This issue isn’t something that should be taken lightly as a lack of sustained tire pressure can cause a blowout. If everything looks good, take one a last gander at your tire’s manufactured date. 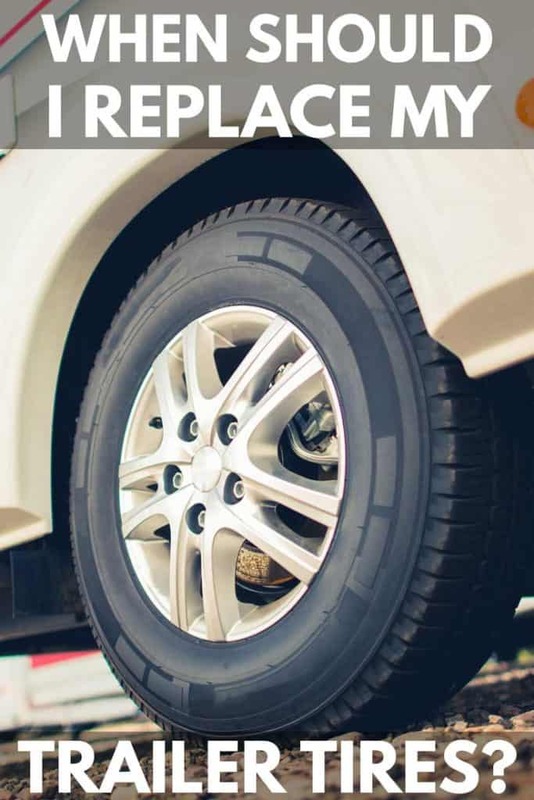 You know the age range for tires is three to six years; so, if your tires look fine and pass the PSI test, check to make sure they still fall inside this range. The process to check the date is rather simple. All you need to do is look at the tire’s sidewall for a four-digit manufactured date label: the first two digits represent the week, and the last two are the year. It will look something like “0516”, which would indicate the tire was made in the fifth week of 2016. Once you identified the date, you can quickly determine if your tire’s ready for the next haul. The majority of trailer tires spend most of their time parked. These tires are usually parked in the driveway waiting for the next fun vacation, or long trailer haul to happen. If left uncared for, this waiting could lead to all sorts of damaging conditions that can cause future tire failure. For this reason, we thought it was essential we provide you with some tips about taking care of trailer tires. And believe it or not, these tips will go a long way in boosting your trailer tire’s performance. One of the biggest enemies of trailer tires is the sun. 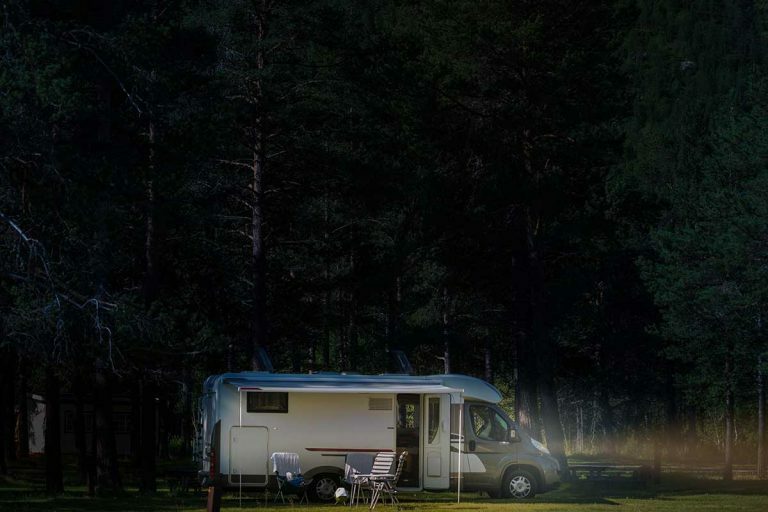 Over time, UV rays from the sun can cause a trailer tire to break down. A broken down trailer tire is a recipe for disaster and could cause all sorts of havoc. As a result, you must provide some protection against these pesky UV rays when the tires aren’t in use. The first thing I’d recommend doing is covering your tires with tire wheel covers or reflective material. But if you buy tire wheel covers, be sure they’re the right sizes. I don’t want you wasting money on a product that doesn’t fit your tire. So, please check your tire’s diameter size before buying a cover. If you can’t afford tire wheel covers and don’t have reflective material, there’s no reason you should panic. You can also try putting plywood against each tire: big enough that they can shield you tire against the sun. And if you have none of these options available to you, merely parking in the shade can help. But the shade alone won’t completely protect your tires; so, I’d recommend investing in one of the other solutions as soon as possible. You probably read that and said to yourself how can the ground hurt my tires, that doesn’t make any sense. But if a part of your trailer tire has prolonged exposure to the ground, the pressure can cause extensive damage such as dry rot. You can avoid your tire developing dry rot by jacking them up and removing the pressure from the ground altogether. It will get rid of the issue by removing the problem from the very beginning. But I know this solution isn’t realistic for some of you, and luckily there’s another way. You can position your tires on plywood to ensure your tires don’t have direct contact with the ground; removing the damaging pressure from the scenario. It’s also imperative you move the trailer occasionally if you’re leaving it unused for a lengthy period. This action will make sure your tires aren’t pressing against the same ground for long periods. Even if you’re storing your trailer in a short-term storage facility, some things can still cause tire damage. So, you must ensure you take preemptive measures that will limit or removing these issues altogether. Inflating your tires to their proper levels will help keep these issues at bay. In fact, you should always have your tires inflated to their recommended levels; it just doesn’t make sense from a safety perspective to have your tires low on air. You should also make sure you don’t overload your trailer when it’s in storage or being unused. The pressure from the overbearing load will cause severe issues and often leads to tire failure. If you’re planning to store your trailer for a long time, remove the tires and wheelsets completely. Plus, make sure you under-inflate them and place them in a cold, dark environment. This way the tires will be ready for the trip when you finally do need them. After all this new information, I feel quite confident you shouldn’t have any issues regarding tire safety. Just remember, trailer tires aren’t something to be taken lightly. These issues can cause severe problems for both you and the drivers around you. You must take the proper time and effort to ensure your tires are ready for road use. Don’t be the person who allows a blow out to endanger the lives of the people around them. Next PostWhere Can You Dump RV Tanks?